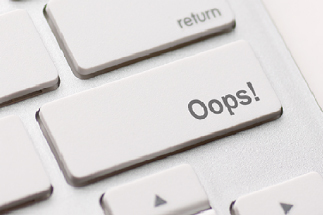 The post (or email) earlier today on registration times for the 2016 Institute of Genealogy and Historical Research in June 2016 had a major error — a whole set of registration info was deleted. Classes with registration starting at 11 a.m. Eastern were omitted, and classes with registration starting at 11:30 were tossed into the 11 a.m. category. In other words, BIG mistake! So The Legal Genealogist sends out this rare double-post-in-a-single-day to correct the mistake and hopefully reach anyone who might have gotten the wrong info. Sorry… And remember: much more info is available online at the IGHR website generally, through a special IGHR 101 page, and there’s an online guide What is IGHR? there as well.